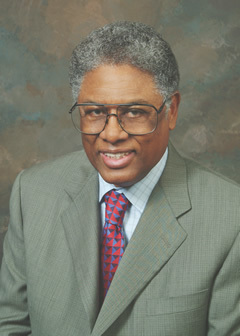 Economist and conservative commentator Thomas Sowell should know better. He asserts the reason the media is paying so much attention to bullying of LGBT youth is because of the influence of LGBT journalists in the newsroom–all members of NLGJA, apparently–who are pushing an agenda. Women can say anything they want to men, or blacks to whites, with impunity. But strong words in the other direction can bring down on students the wrath of the campus thought police — as well as punishments that can extend to suspension or expulsion. Is this what we want in our public schools? It’s a typical smear, that “avowed homosexuals” join a group like NLGJA to tilt the coverage of LGBT issues in order to further a larger agenda. Nevermind that Asian American journalists have their own organization–our UNITY partners the Asian American Journalists Association–they apparently are unable to advance an agenda for Asian kids the way the gays can. Kincaid raises interesting points about how the issue of bullying is covered and whether activist groups–and the media–are squandering the opportunity to educate people about bullying and make an impact by focusing on the wrong things and overplaying the issue. I’m happy the media is paying so much attention to bullying, but I do wonder if it is overexposed and whether it is really helping anything. Maybe it’s a long-haul effort, but does yet another It Gets Better video by the touring company of Starlight Express really have an impact and is reporting on it really helping kids and stopping bullying? Is all the media attention on bullying of LGBT kids really working and appropriate, or is it just another media trend that will disappear the moment the next-hot-issue shows up?